How Often Do You Need to Replace Hot Water Heaters? The most common problems with hot water tanks include no hot water, water that is not hot enough, inadequate hot water, discolored water, smelly water and odd noises in the tank. You can avoid most of these with regular maintenance. If you have no hot water at all, the cause is likely to be one of the following: your thermostat is broken or malfunctioning, your heating element is broken, or either the electricity or the gas supply (depending on what kind of heater you have) has somehow been interrupted. Your initial response should be to check the circuit breaker or the pilot light. Inadequate hot water or water that's not hot enough may be the result of having a tank that is too small to meet your household's demand for hot water. It may also be caused by a problem with the tank's dip tube, which when working properly takes incoming cold water down to the bottom of the tank so that it cannot mix with and cool down outgoing hot water. If the dip tube is broken, cold water flows directly into the top of the tank. Other possible causes include a faulty thermostat, a faulty electrical heating element or a build up of calcium carbonate sediment at the bottom of the tank (particularly likely if you live in an area with hard water). Most heaters have a sacrificial anode, which prevents internal rust. Over time, the reaction, of which the anode is part of, consumes the anode. If you do not replace it, the interior of the tank will rust, your water will take on a rusty color and the tank will ultimately fail. In some water, particularly if it comes from private or municipal wells, anaerobic bacteria react with the magnesium and aluminum sacrificial anodes installed to minimize internal rusting to produce hydrogen sulfide gas, which smells like rotten eggs. Eradicating this problem can be difficult but can frequently be achieved by replacing your magnesium or aluminum sacrificial anode with an aluminum/zinc one. Sediment is also often the cause of thumping in the tank in gas heated models, where the heat source is beneath the tank. The burner heats the water under the sediment, leading to a build of steam. The steam finally escapes as bubbles, which can cause the sounds. Sediment can also create conditions in which the bottom of your tank will erode, leading ultimately to leaks. If you are in an area where sediment is a problem, you should flush your tank on a regular basis to get rid of it. Do not make the mistake of thinking that a hot water tank can be installed and then ignored. Maintain your water tank by flushing it regularly, replacing worn-out sacrificial anodes to control internal rust, checking for drips in pipes that may cause external rust, and replacing the temperature and pressure valve every couple of years. If your water pressure is high (80 psi or higher), make sure that you have a pressure reducing valve fitted at the intake. For safety, always remember to disconnect the electrical supply or to turn the gas pilot control valve to its pilot setting before working. Why Does the Hot Water From My Water Heater Stink? What Is a Leisure Bay Hot Tub FL0 Code? Why Do I Have a Foul Smelling Water Coming out of My Kitchen Faucet? 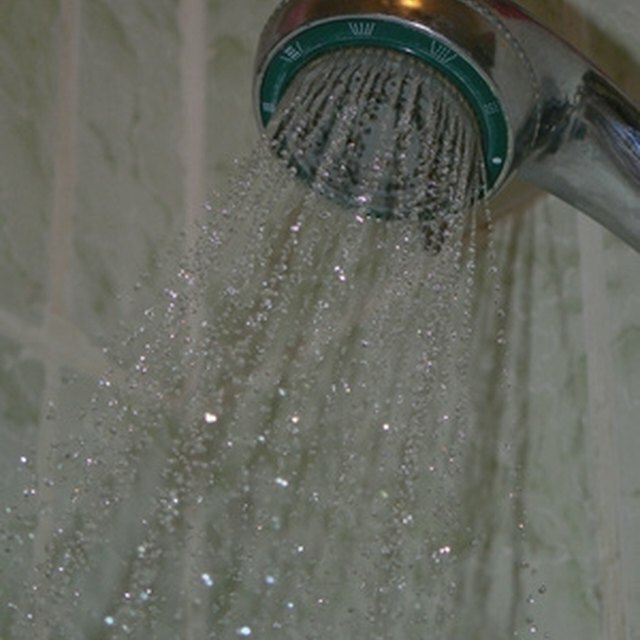 Why Does the Hot Water Heater Run Out Quickly?